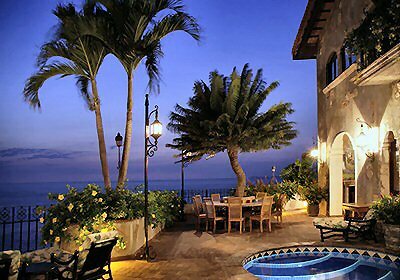 Villa Rosa is a stunning villa nestled on a hillside in the exclusive Conchas Chinas area of Puerto Vallarta. IT provides breathtaking views of the ocean, beach and mountains. Entrance is through a courtyard graced with a fountain and surrounded by lush tropical foliage.